1. Light weight, saving time and improving efficiency. 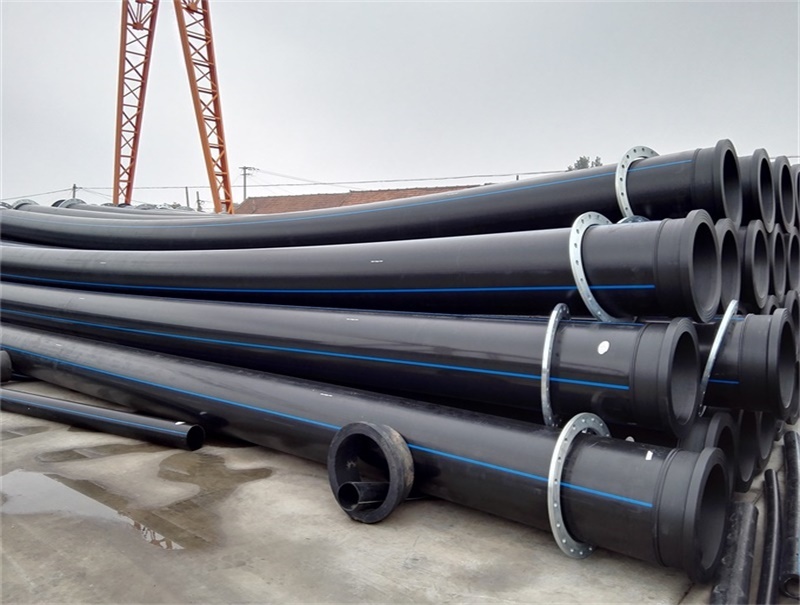 HDPE dredging pipes are only one-eighth of steel pipes. They adopt flanges and bolts for connection, installation and dismantlement, which mean they are convenient for transportation, repair and replacement. 2. Great flexibility, tensile strength and elasticity. 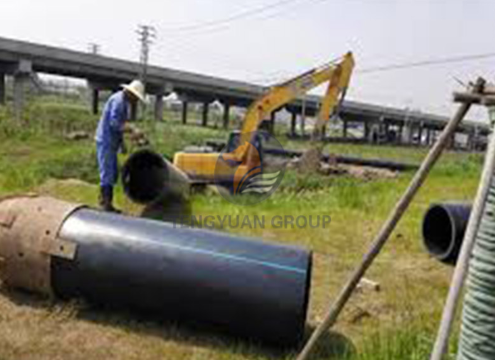 HDPE dredging pipe doesn't break after internal and external force impact, it has great resistance of stormy waves. They could be bended to be a circle by 4-8 pieces in the water. If they are need to be connected on land, they can be connected directly as long as the concave-convex is within 30 degrees of area. 3. Excellent wear-resistance ability. 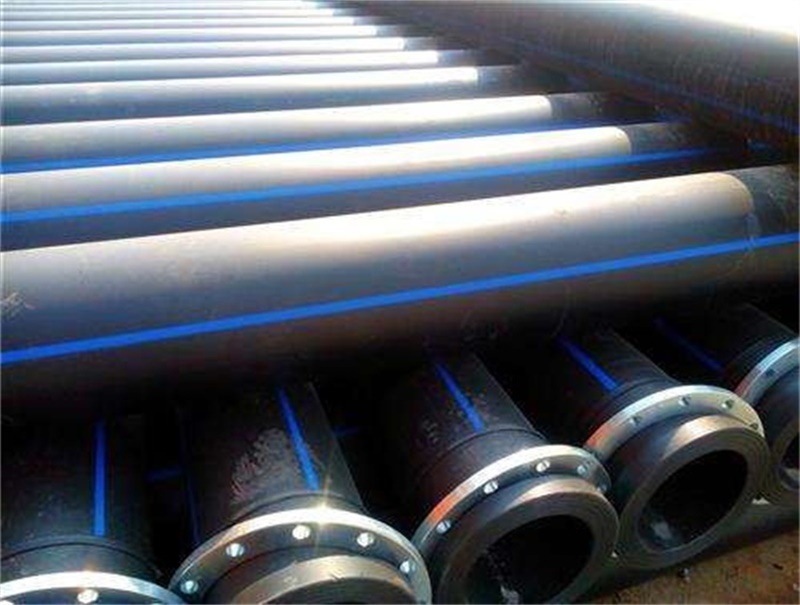 HDPE dredging pipe’s wear-resistance ability is 4-8 times of steel pipe, together with its anti-UV and anti-aging ability, it normally can be used for 5-8 years upon sand content. 4. HDPE dredging pipe is assembled with two metal flanges at both pipe ends. 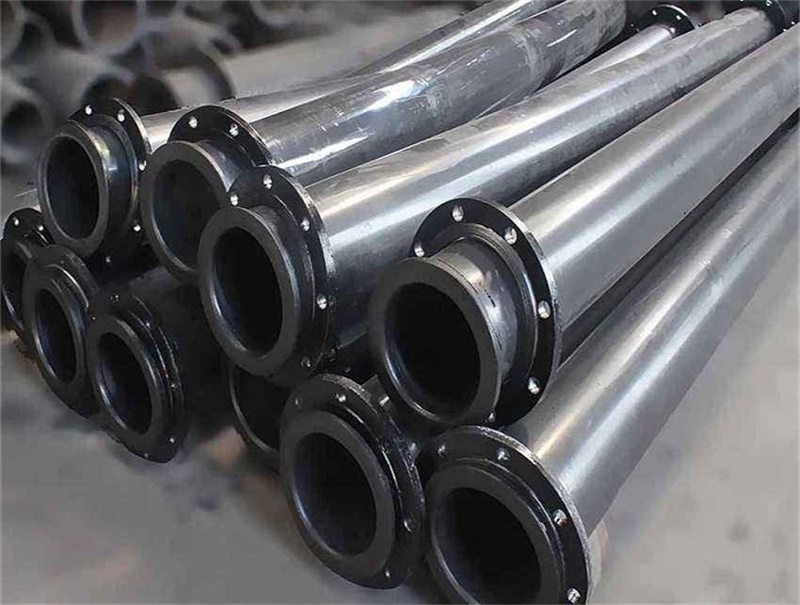 The pipes are connected by flanges and bolts, which ensure they will not deform and drip when installing and disassembling and ensure the engineering’s high efficiency. 5. 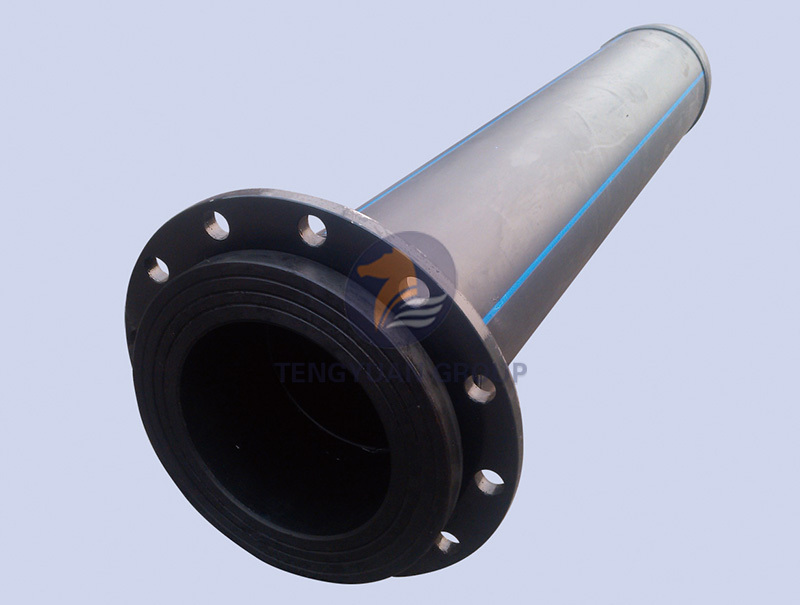 HDPE dredging Pipe has smooth outer and inner wall and tiny friction coefficient. Its transmission efficiency is 20% to 30% higher than steel pipe. 6. 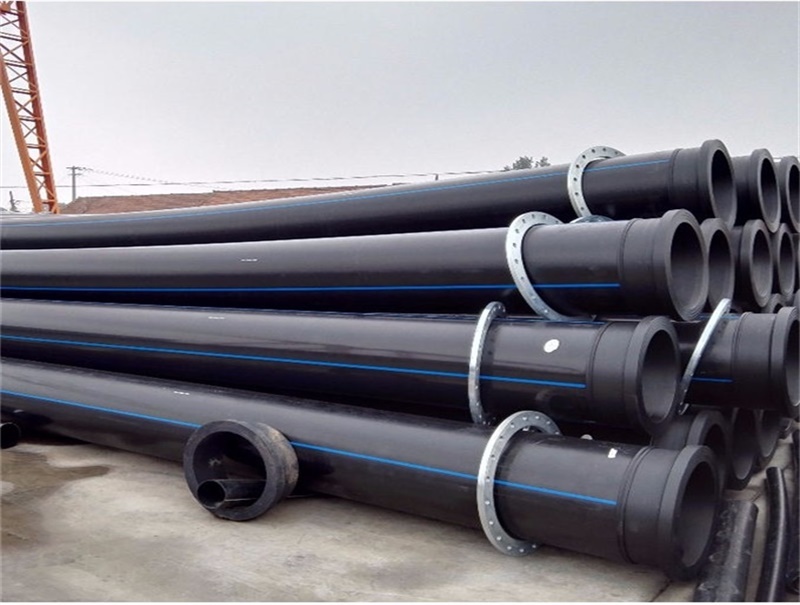 HDPE dredging Pipe’s workable temperature is range from – 40 ° c to 60 ° c, it can adapt to bad weather and fluctuated temperature. 7. Whenever on land or water, HDPE dredging Pipe’s total engineering cost is lower and more efficient than other pipes. 1. Delivering powder and coal ash in thermal power plant. 2. Delivering mine tailings and slurry, metallurgical mines in the mining industry. 3. Delivering pulverized coal and coal-water slurry of coal preparation plant in the coal industry. 4. Delivering mud and corrosive media with slag in the chemical industry. 5. Delivering crude oil and petroleum. 6. Delivering sand\mud\slurry for dredger in dredging projects or sand suction projects, and also for seawater treatment projects.